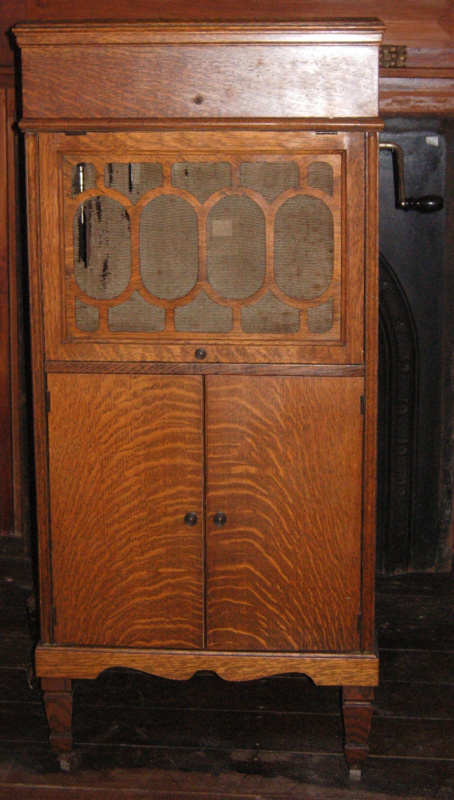 A phonograph cabinet with tapered legs with small castor wheels. Cupboard at bottom with 2 half doors. Wooden fretwork above with inserts covered by cloth for speaker. 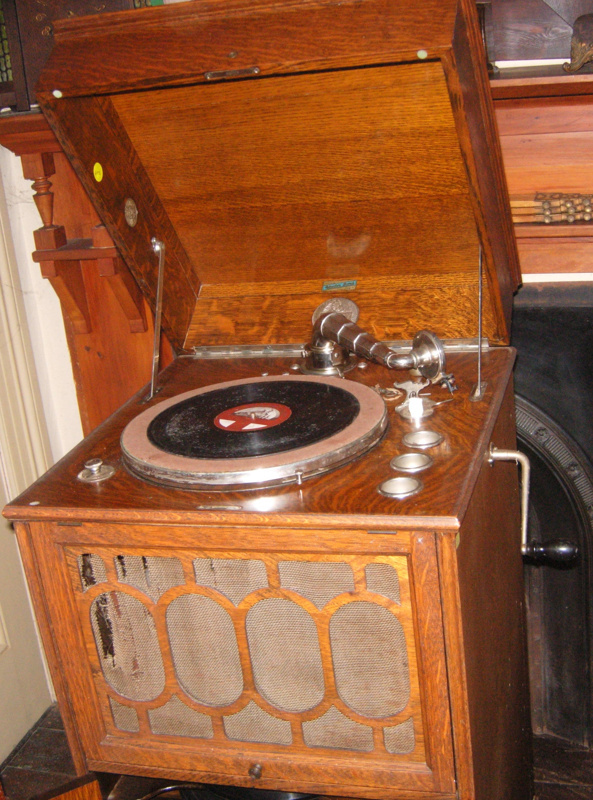 The top of the unit folds up on hinges to expose the turntable and stylus assembly. There is a handle on the R/H side to "charge" the turntable. 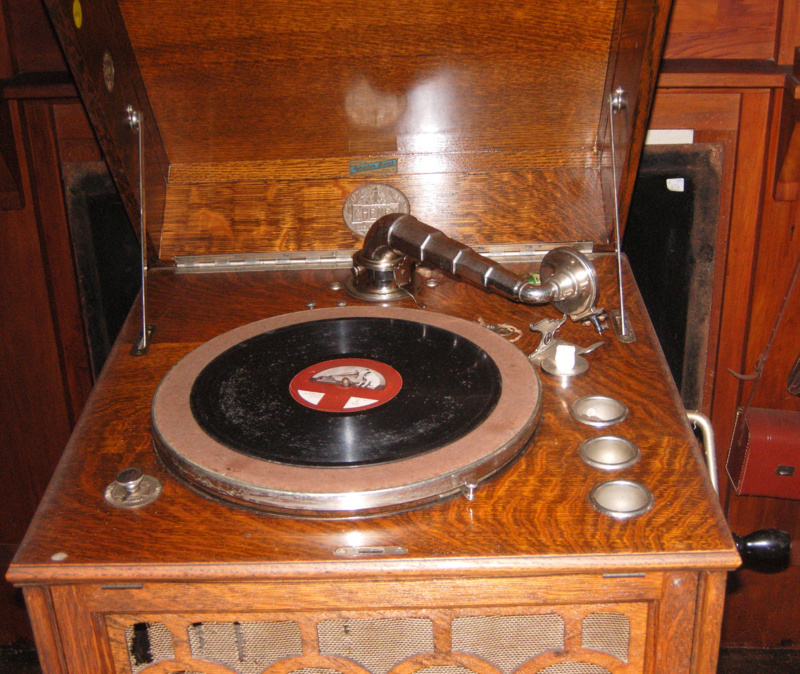 Plays 78's - there is an adjustor dial to speed up or slow down playback speed. 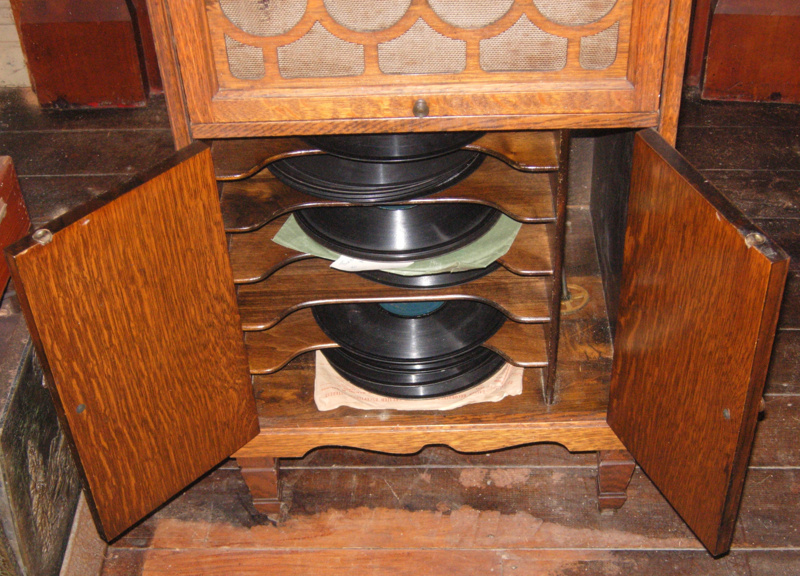 Inside the cabinet there are 5 shelves to hold records - currently has 14 78's stored there. Inside the top lib by turntable is a small HMV tin containing spare stylus needles and an inscription saying use each needle only once.